Massimo Bottura is the chef and owner of 3 Michelin-starred Osteria Francescana, voted number two in the World’s 50 Best list. He’s also been the subject of a Netflix Chef’s Table, he’s helped saved millions of pounds’ worth of Parmigiano Reggiano and he runs pop up soup kitchens using surplus food to feed those in need. A busy boy you could say. 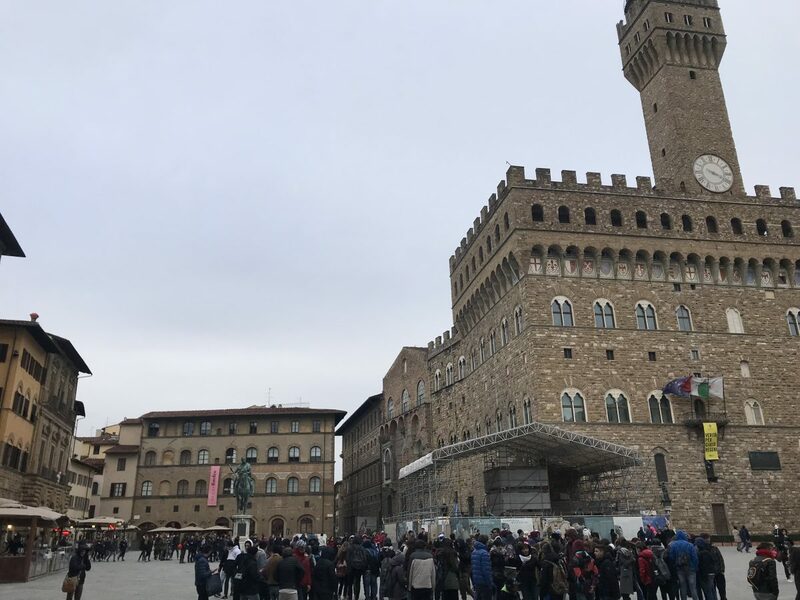 We’re in Florence, Italy for a few days and his name pops up, apparently he’s opened a new restaurant inside the Gucci store called Gucci Osteria. The dining room is small and we can only bag a reservation by going in and begging. They never answer the phone FYI. The long and narrow space is a real looker; all green and conservatory-like. We get chatting to the General Manager who’s English and notices we’re English so offers us a glass of fizz. It’s proper old school hospitality. The menu is a mish mash of styles and cuisines. 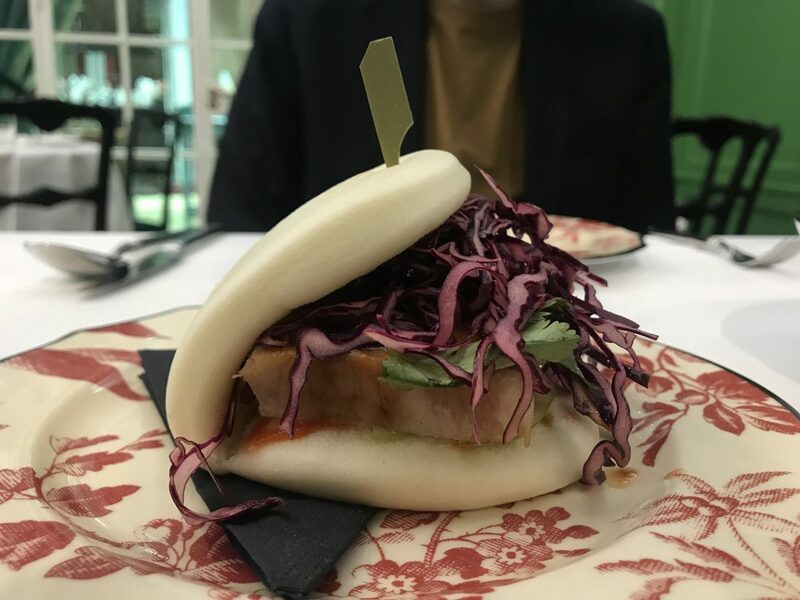 We share a steamed taka bun (€15) which is a light and fluffy bao bun filled with sweet, sticky pork belly. It could give Bao in London a run for its money. 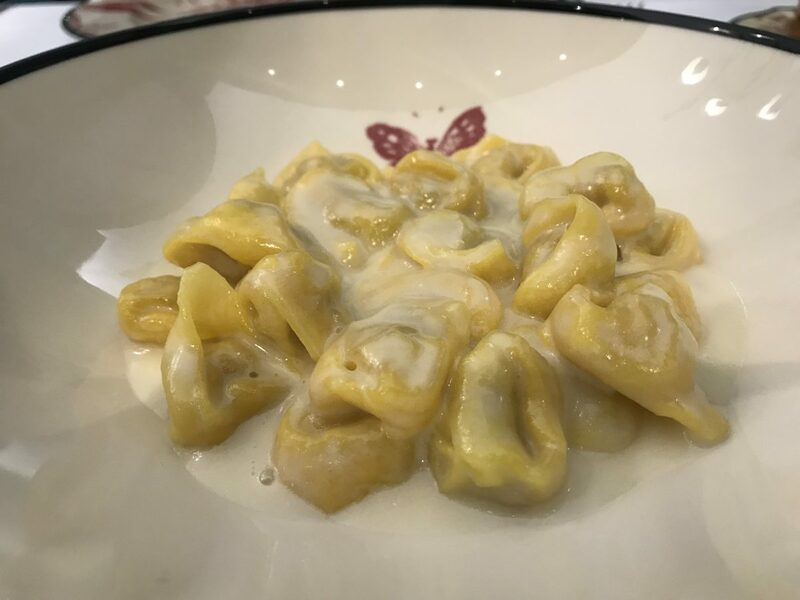 Tortellini (€20) are expertly made; the pasta is impossibly thin yet remains intact. The little bundles sit in a lake of punchy Parmigiano Reggiano cream which is pure comfort. Less successful is “Macao Bacalao” (€30). 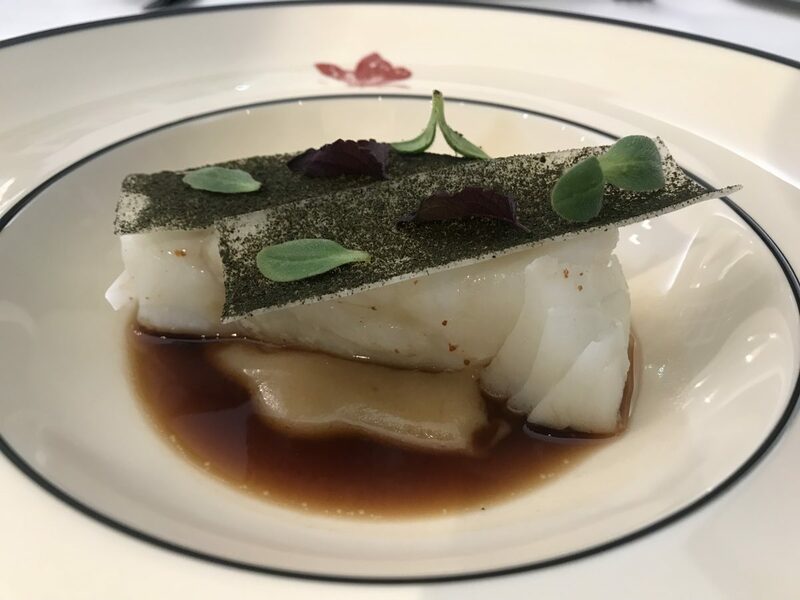 A chunk of delicate cod, probably cooked sous vide as it’s low on flavour and texture, is topped with wafers dusted in nori. The result is nori overload. Just a bit fishy for me. Lingua (€25), or tongue, comes with salsa verde and grilled lettuce. 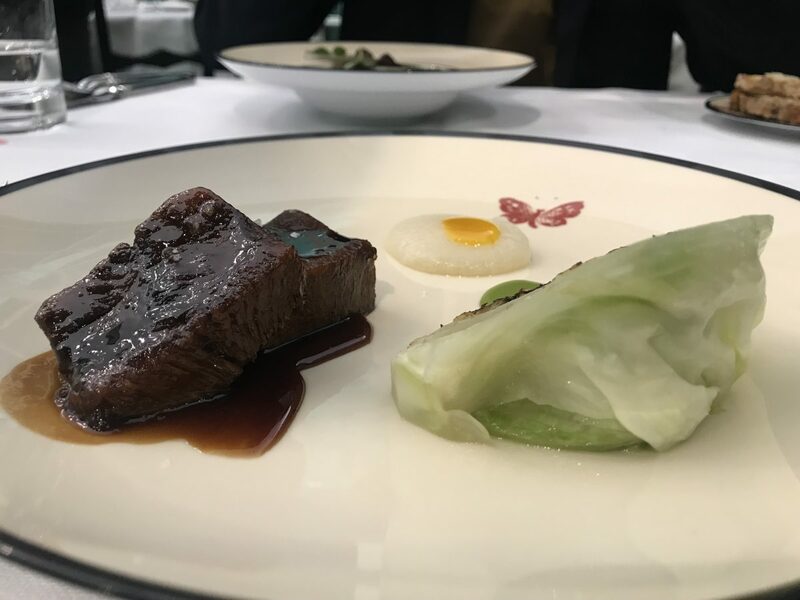 The tongue has the texture and flavour of short rib, helped by beefy reduction that clings to the meat. Lush stuff. Gucci Osteria is certainly a stylish place to have your supper. 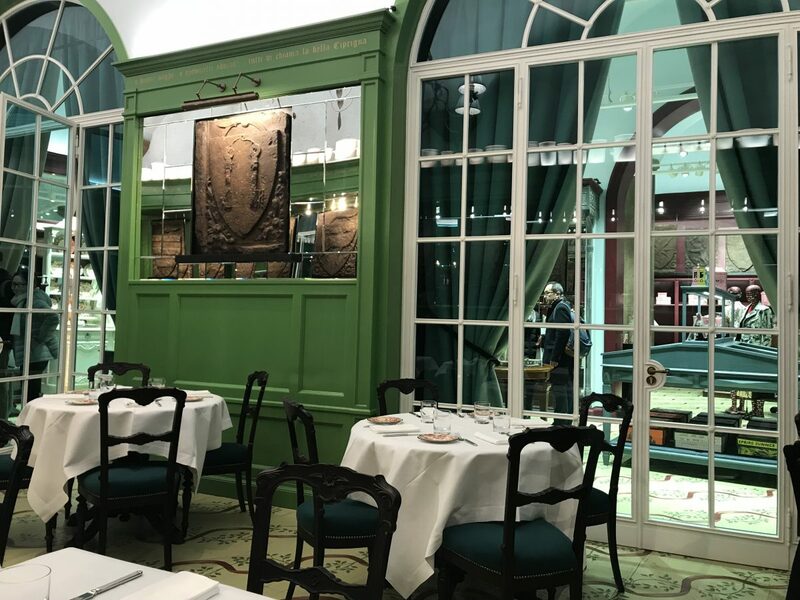 From the waiter’s Gucci Princetown leather slippers to the gorgeous surrounds and dainty food, if you’re in Florence and you like your fashion, this is not to be missed.